Just how much content had to be dropped from the finished release of Final Fantasy XIII? An official crapload. Most videogame developers have to cut game content that ideally would be left in, but in the case of Square Enix's Final Fantasy XIII this may have been a larger amount than normal. FF Reunion has summarized an interview with Final Fantasy XIII art director Isamu Kamikokuryou where he says that "enough content was deleted from the project to make an additional game." Kamikokuryou went on to detail some of the stuff Square Enix left out. One of the cut areas involved main character Lightning's home and included a park of some sort. Also cut was a secret base for Snow's resistance group Nora that was inside of a shop. Finally, Kamikokuryou revealed that amusement facility Nautilus Park included a zoo at one point, which was axed. They cut out the damn zoo! Some of this may be lost in translation as I have not played the game yet and the interview was done in Japanese. I would assume that there are many more areas Kamikokuryou did not cover. The Final Fantasy games are known as the supreme burritos of gameplay, and hell, from FFIV to FFXII I've probably put at least 700 hours into the series myself (which makes me feel like I might have a problem). I'm still hoping for the same from Final Fantasy XIII. Kamikokuryou states that the content was removed due to game volume and balance concerns. It's a shame that stories like this make most people, myself included, wonder if the evil profit monster was part of the reason for the cuts and we'll be seeing it as DLC sometime down the line, especially if it was an entire game's worth like Kamikokuryou says. Still, it is true that lots of content is cut out of videogames that developers just don't have time to include, which could be the case here. 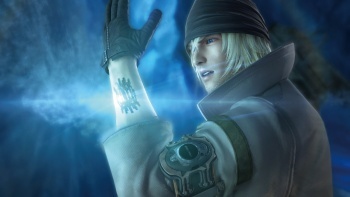 Final Fantasy XIII looks like it'll be worth a play anyway, even if it is a little emo.